Updated 11-14-2018 --- The mod has been updated to work with the 1.47.49 game patch (November 13, 2018). 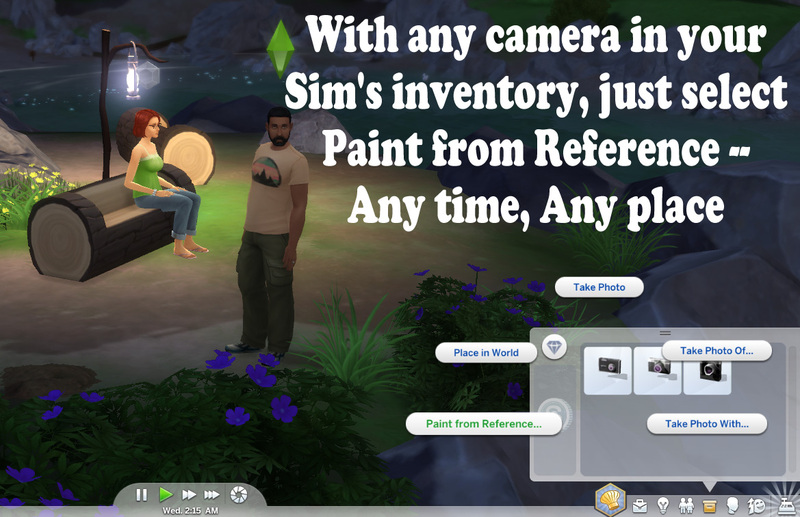 Overriding the Python code to generate a photo into a Sim's inventory is no longer necessary as EA made the same change (presumably to support the new sketchpad), so that's one less "override" to worry about and the script portion of the mod now only requires one script in the ts4script file. 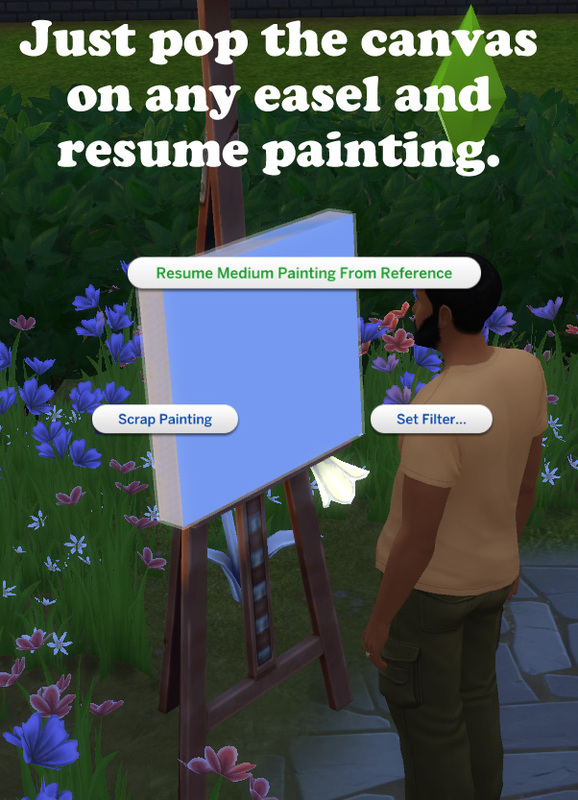 An optional add-on has been uploaded, the PFRA_Converter script will allow you to change all Paintings From Reference created using this mod to Base Game Paintings From Reference. 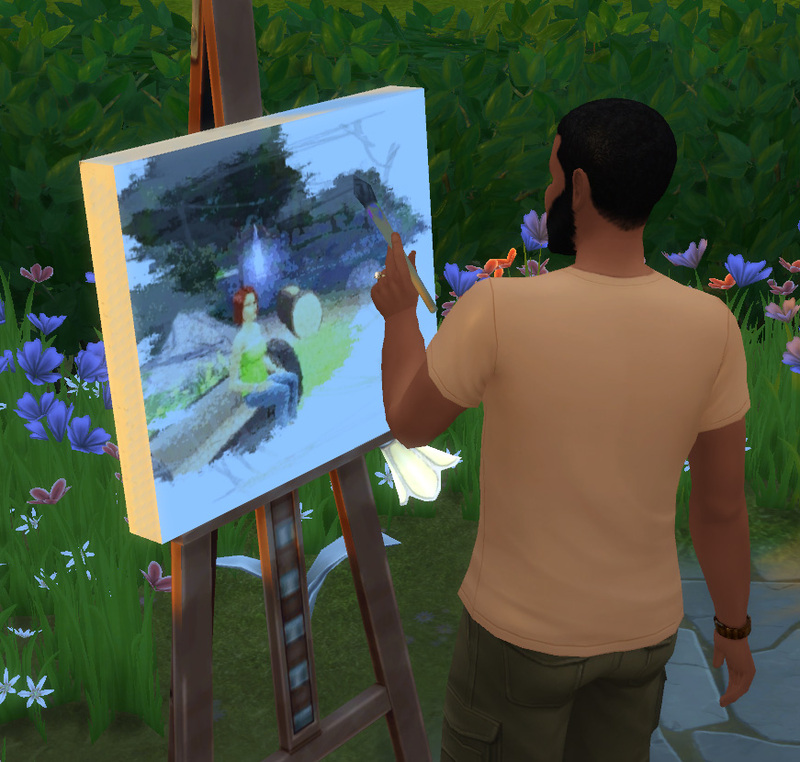 This would allow you to remove the mod without losing the paintings, or it should allow the paintings to be shared on the gallery. Save your game, just like a person with a normal IQ, before any batch updates. Ctrl-Shift-C to open a cheat command window. Type the command pfra.convertall to convert all paintings on the lot. 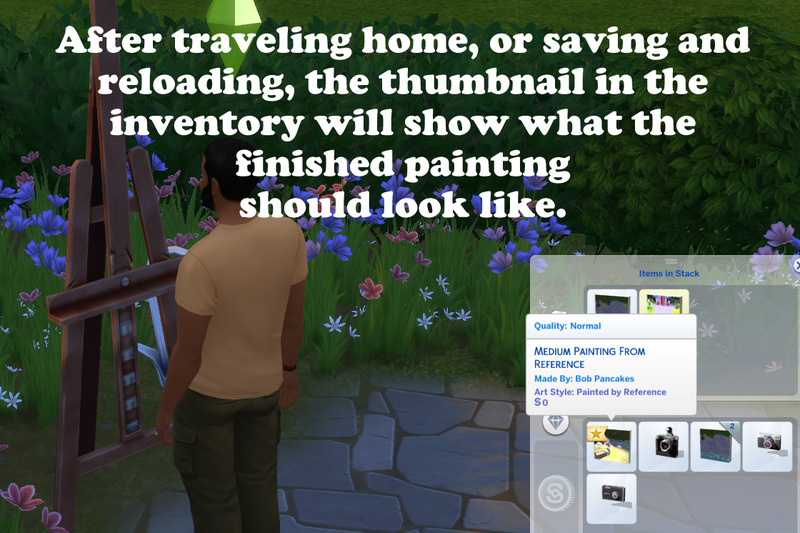 The paintings must be displayed on a wall, they cannot be in an inventory. 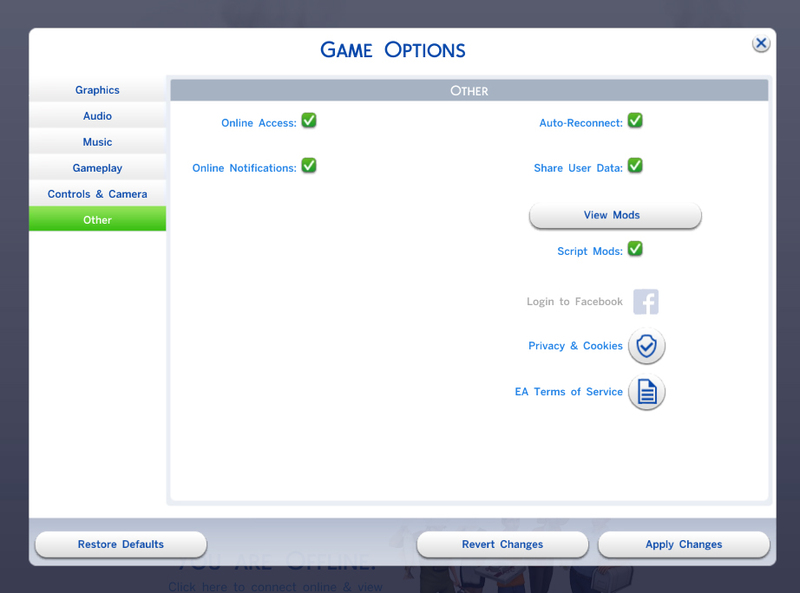 Save the game using Save As to a new slot, so you don't overwrite your save from Step One. 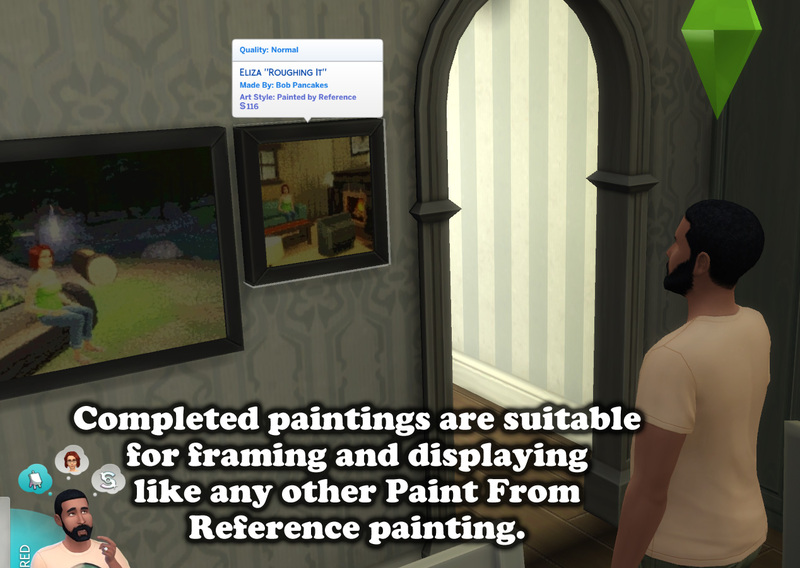 This adds the ability for all three of the base game cameras to stage a Paint From Reference painting. 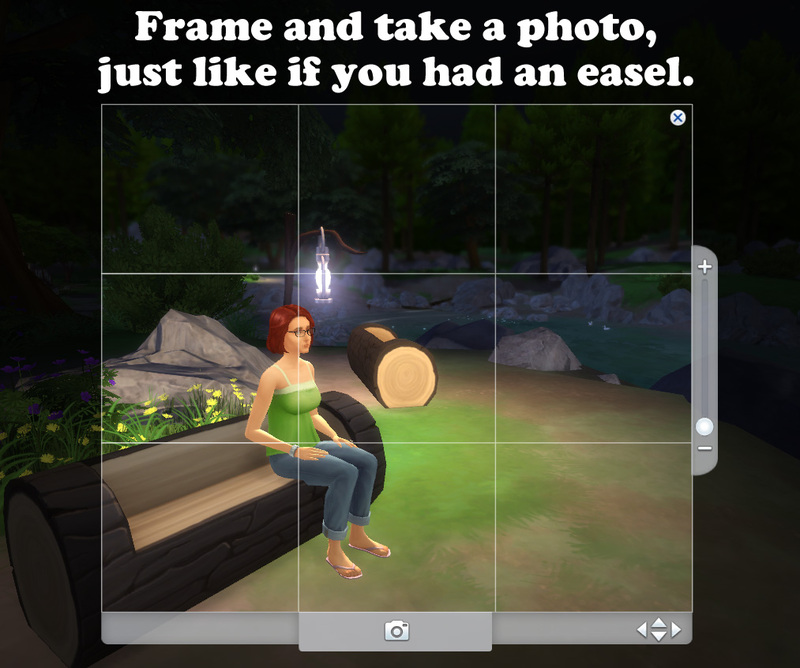 These cameras, the Barely Better, Appreciably Average and Crystal Clear Digital Camera, are available for purchase in Activities and Skills / Creative from build-buy mode and have been available in the base game since the November 7, 2017 game patch. If an error is noticed by the mod while taking a photo, it will log an exception and restore the overriden script from the game. 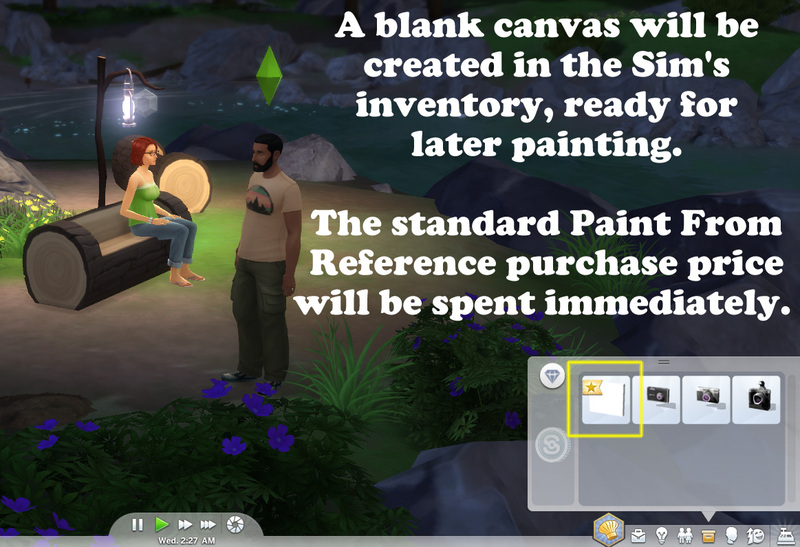 The game will continue to run, and photography and paint from reference at an easel will again function normally. 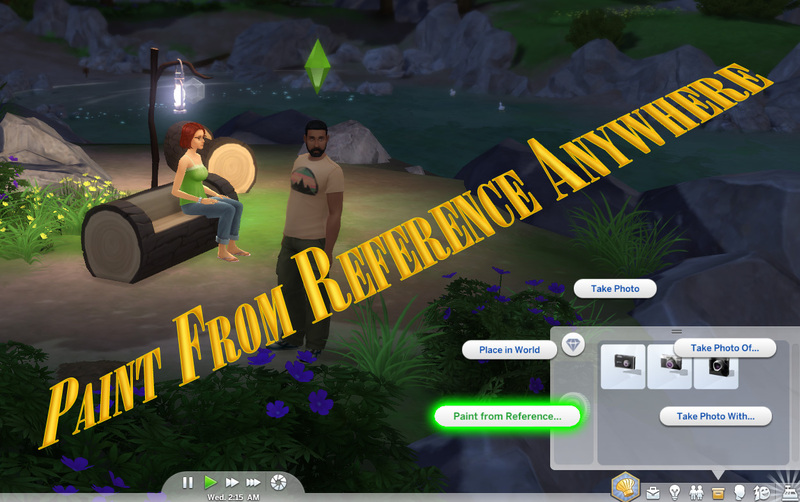 This mod was written and tested on Windows for The Sims 4 version 1.47.49 (November 13, 2018). It should be compatible with any of the stuff or game packs and other mods.